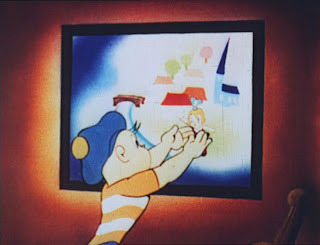 It was agreed that we produce the film in Budapest as I was already set up there. 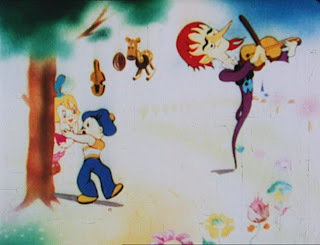 Joy came with me. 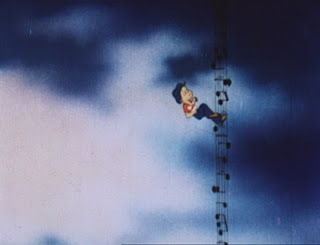 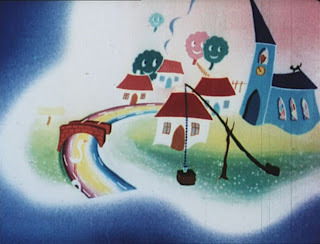 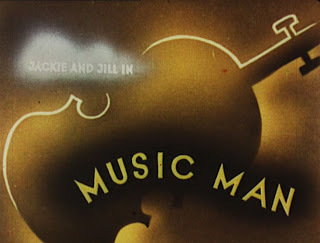 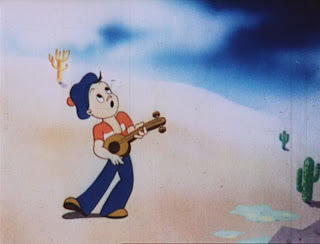 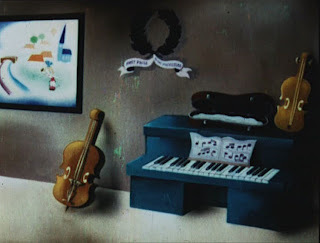 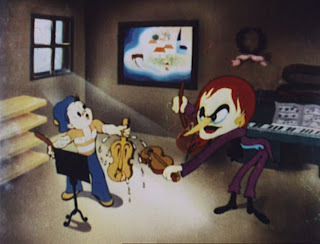 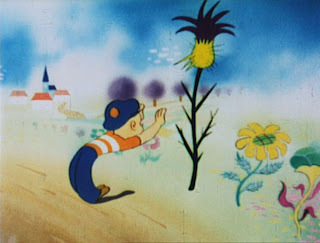 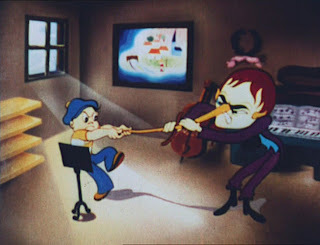 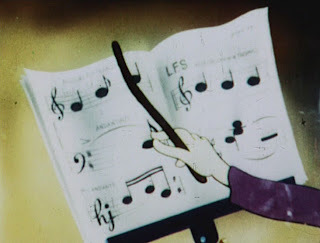 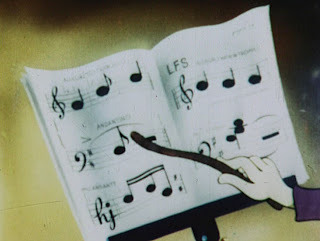 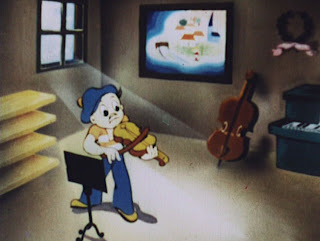 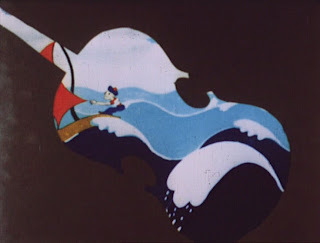 The film, which I had seen as an artistic expression of the Hungarian rhapsodies, finished up as Music Man (1938), a ten-minute film that ran £280 over budget and was the first completed Technicolor cartoon made in England. 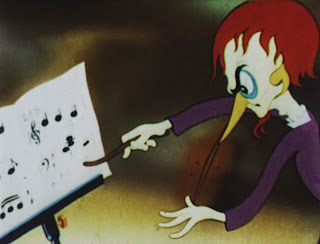 The only trace of the original concept was in Liszt's music. 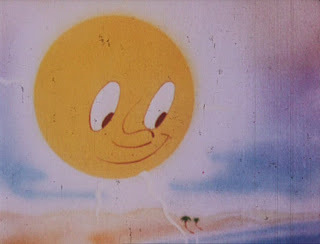 It opened at a Newsreel and Cartoon cinema at Charing Cross, London and soon faded out of existence. 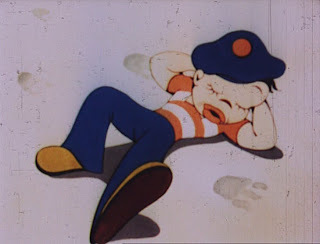 A well-deserved fate. 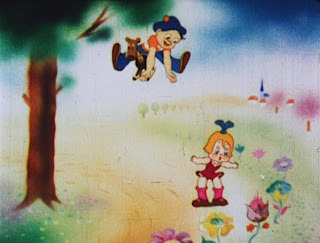 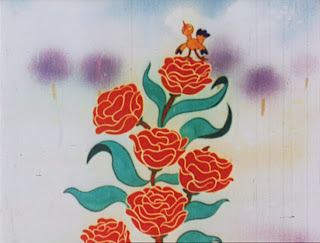 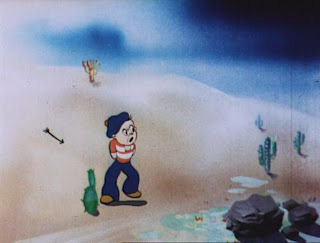 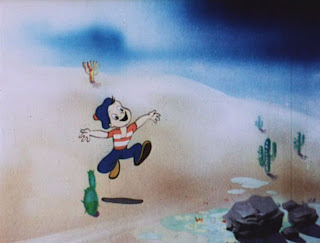 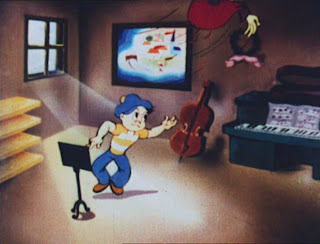 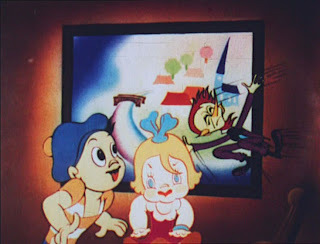 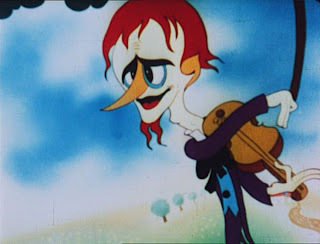 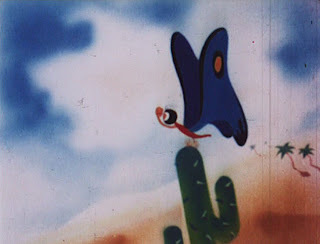 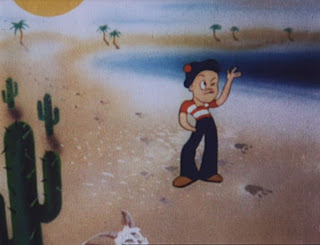 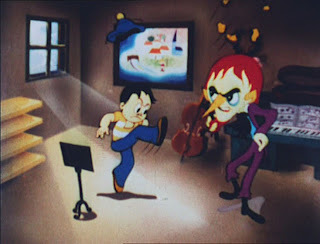 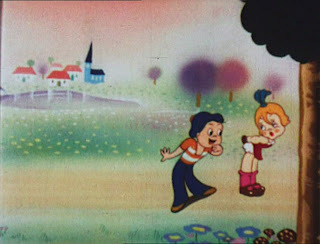 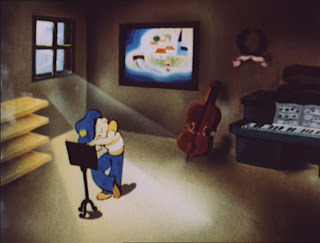 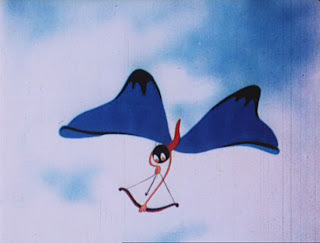 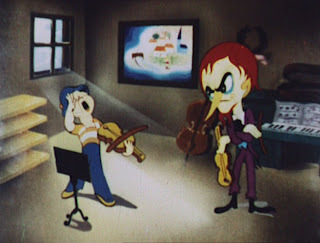 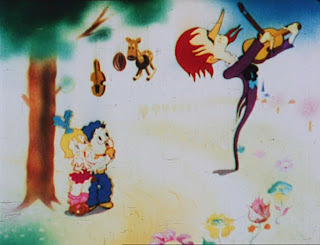 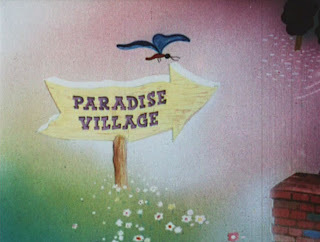 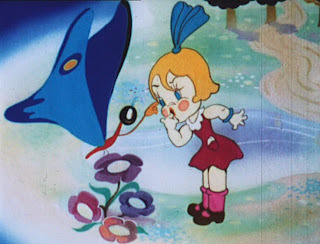 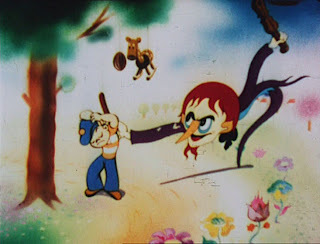 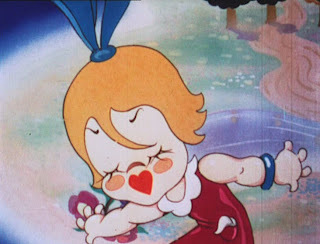 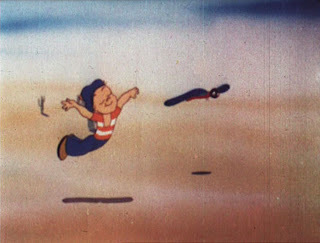 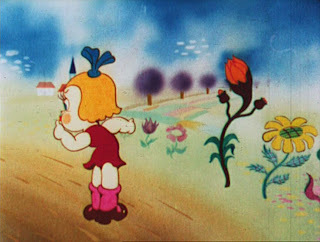 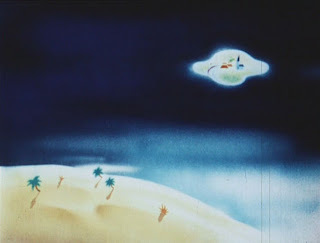 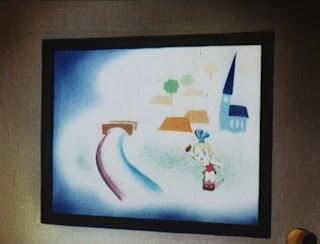 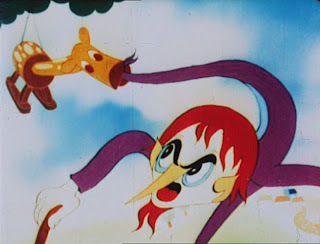 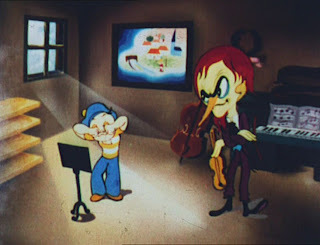 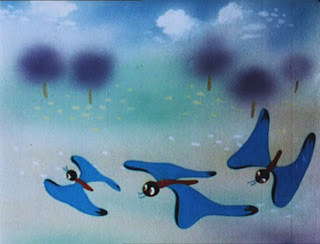 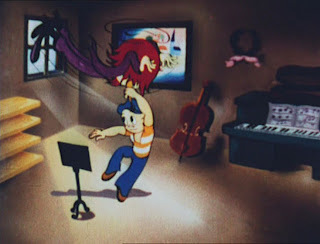 The film was written by Emeric Hajdu, who would go on to become a noteworthy figure in French animation under the stage name of Jean Image. 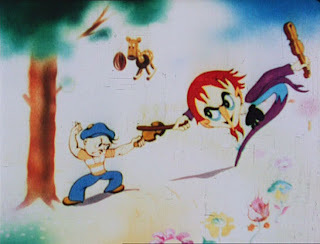 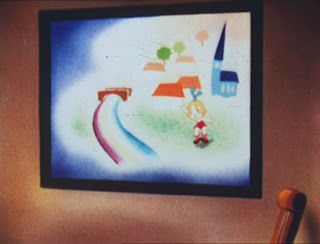 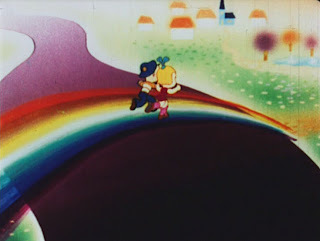 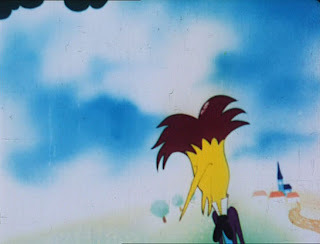 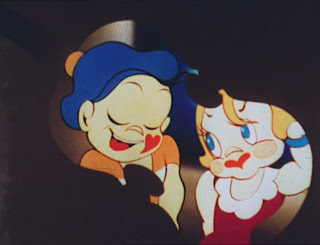 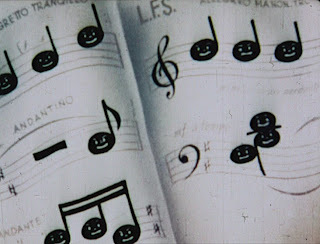 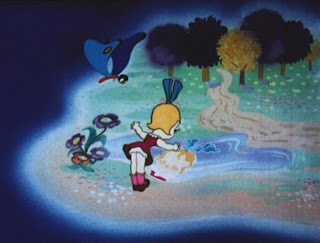 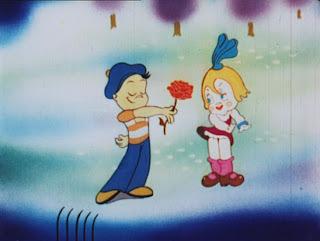 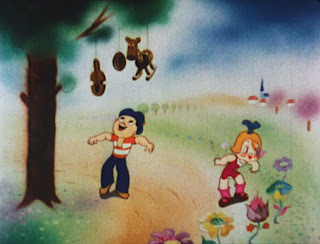 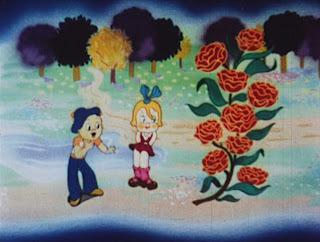 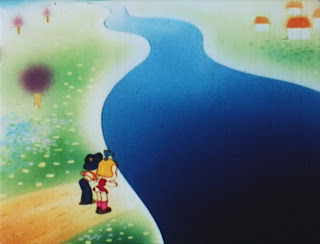 The title card implies that the studio hoped to turn the Jackie and Jill characters (unnamed in the film itself) into series stars. 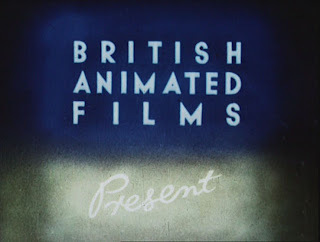 British Animated Films doesn't appear to have been a particularly prolific studio. 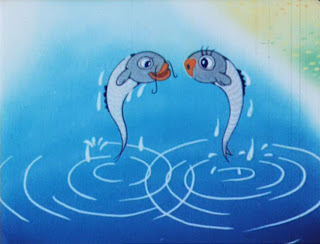 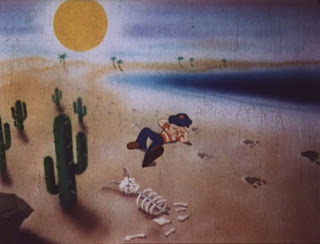 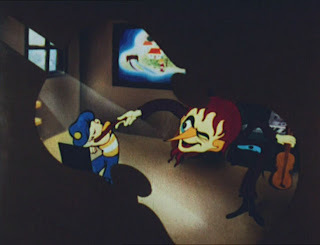 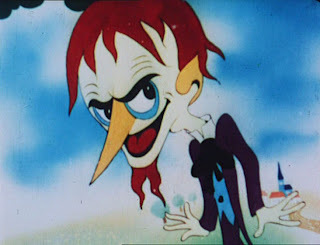 IMDB credits them with a 1947 film entitled The Night Comes Too Soon, and the catalogue for the 1985 Cambridge Animation Festival says that Spud Houston's 1936 film How the Motor Works was made for the company, but I can find nothing beyond that. 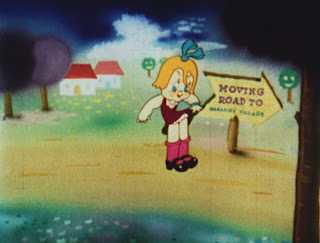 The studio also appears to have gone by another name, as Halas & Batchelor Cartoons reproduces a letter from 1938 (ending Halas' contract with the company) that bears the name "British Colour Cartoon Films Ltd". 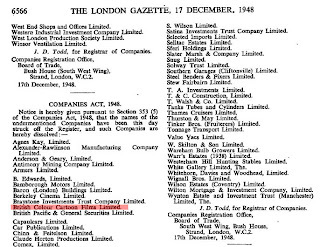 During an interview for BECTU [Joy Batchelor] said that James Willings, one of the directors, was about to be sent to jail for selling arms to both sides in the Spanish Civil War; no doubt money that had partially been used for the companies' filmmaking ventures. 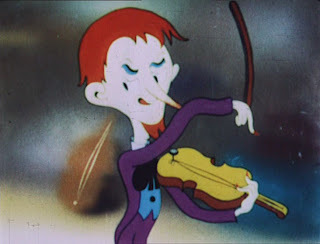 Music Man can be found on the French DVD compilation Halas & Batchelor: Le best of "so British"!.